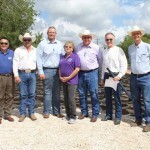 This story is about an ongoing effort by Jeff Labenz-Hough of HDR Engineering San Antonio to use Mechanical Concrete® to solve some of the road problems generated by the oil and gas exploration activity in South Texas. 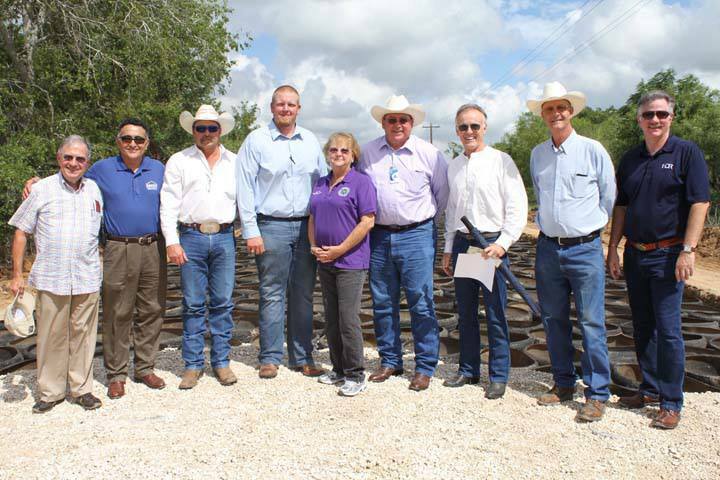 South Texas is looking at Mechanical Concrete®. The answer to the question is yes, old tires can help. 1. Mechanical Concrete®, is a US and Canadian patented sustainable construction technology. Mechanical Concrete® is a geo-cylinder stone aggregate confinement technology. It is a simpler, stronger and more consistent way to build road bases. It’s fully developed and demonstrated in industrial road applications and now in use in 5 US states. 2. Mechanical Concrete® is created by placing crushed stone inside a thin-walled cylinder. Cylindrical confinement dramatically increases the load supporting capacity of granular materials by a factor of 3 or more. 4. Mechanical Concrete® offers a virtually indestructible road base that has reduced unpaved road maintenance by 75%. A gravel and concrete surfaced coal haul road near Morgantown WV has been supporting 300 coal trucks per day since June 2011 with a 75% reduction in surface maintenance compared to its original construction. Its primary apps are foundations, retaining walls, and erosion control. 5. Mechanical Concrete® is the same every time and does not require compaction. It’s easy and simple to install and doesn’t requires special equipment, training, or field testing. 6. As its thin-walled cylinder Mechanical Concrete® uses a waste tire with both sidewalls removed. This make it an inherently, bright green building material, and substantially lower in cost than other geosynthetic confinement technologies. AND THAT’S WHY THE ANSWER IS YES!